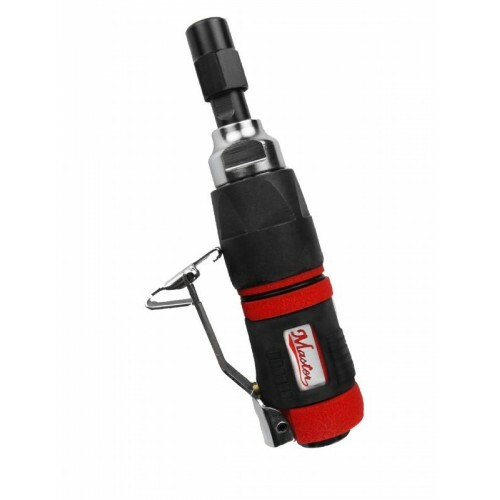 pneumatic 1/2" Heavy-Duty Air Reversible Drill with Keyless Chuck, a powerful choice for drilling, honing, reaming, and hole sawing. 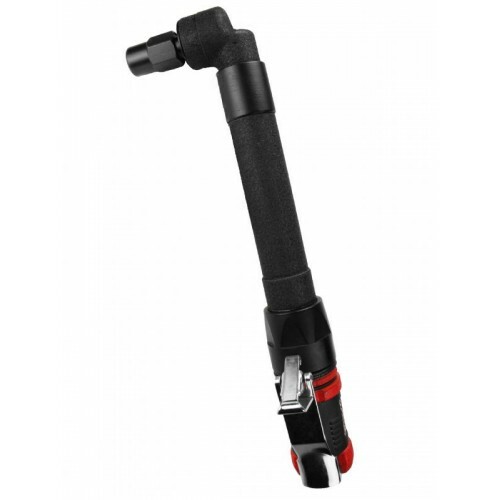 This reversible m..
Pneumatic 1/2" ratchet wrench with mini housing operates at 420 rpm free speed with less than 1 pound weight. 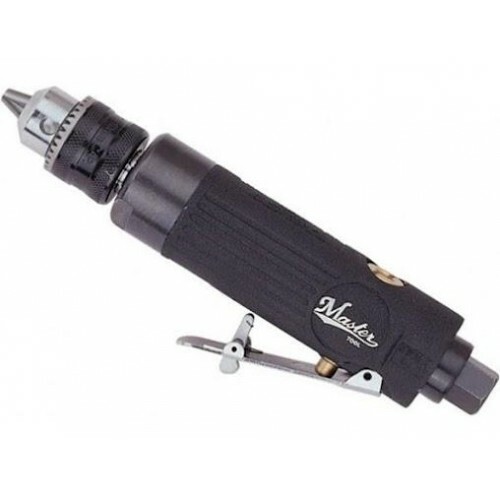 Master Palm pneumatic mini straight inli..
Industrial Grade 1 inch Long Neck Extended Shaft Mini Die Grinder Industrial 1" long neck shank inline straight air die grinder runs at 30000 rpm..
Industrial 1/2 inch Drive Jacobs Keyed Chuck Right Angle Drill with Detachable Side-handle, 500 RPM Free Speed - ISO 9001 Certified, CE Bookmarked. 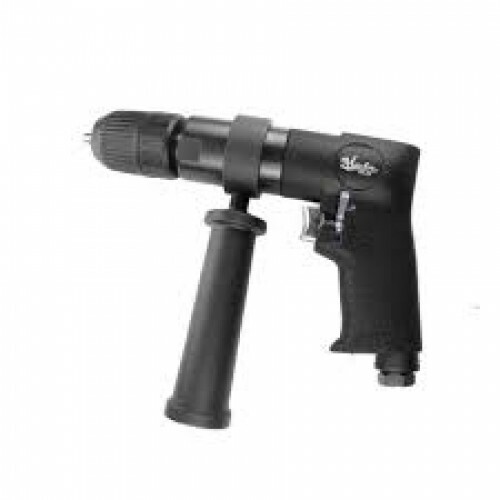 T..
Industrial Retro 3/8" Jacobs Keyed Chuck Non-Reversible Straight Air Drill, 2500 Rpm, 1/2 HP - ISO Certified, CE Compliant Master Palm Pneumatic 3/8".. 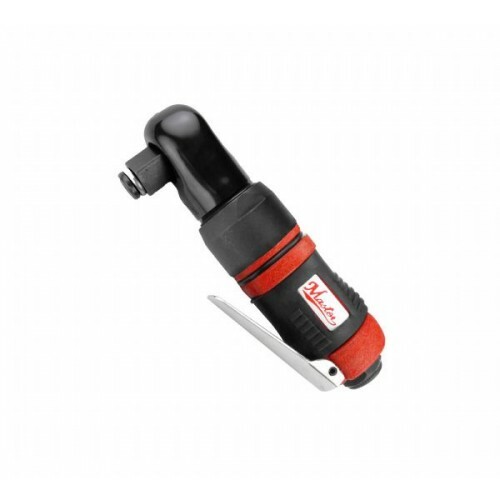 Heavy duty 5" long neck right angle air die grinder with 1/4" and 1/8" collets operates at 20000 rpm speed.It comes with exchange 1/8" collet adapterO..
Industrial 1/4" Jacobs Keyed Chuck Inline Air Drill With 2000 rpm free speed, 0.25 hp - ISO 9001:2015 Certified, CE Compliant 1/4" Jacobs Chuck E..
Industrial M8 Nut Installation Tool, Threaded Nut Pull Setter - ISO 9001:2015 Certified, CE Compliant Introduction Master Palm pneumatic nut i..
Industrial 3/8 inch Drive Jacobs Keyed Chuck Right Angle Drill, 1700 RPM Free Speed - ISO 9001 Certified, CE Bookmarked. 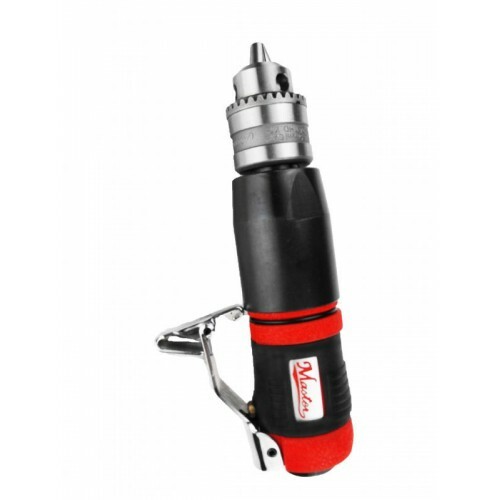 Master Palm industrial 3/8" ..
Industrial 1/2 inch Drive Jacobs Keyless Quick Change Chuck Right Angle Drill with Detachable Side-handle, 500 RPM Free Speed - ISO 9001 Certified, CE..
Master Palm 3/8" reversible straight inline air drill with side handle and free speed of1800 rpm. 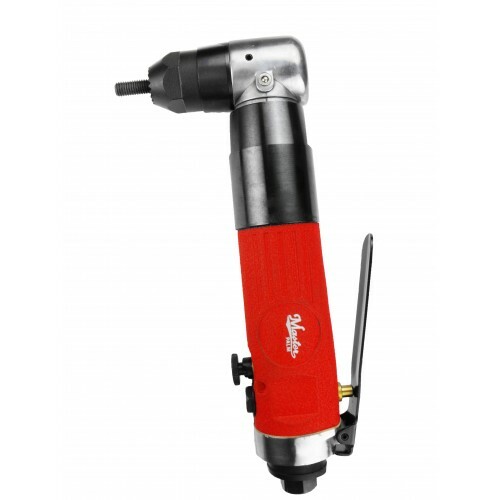 This industrial straight inline air drill comes with..
Master Palm 1/4" and 1/8" industrial long neck 3" extensive shaft straight die grinder, 31000 rpm extends die grinder to hard to reach area. 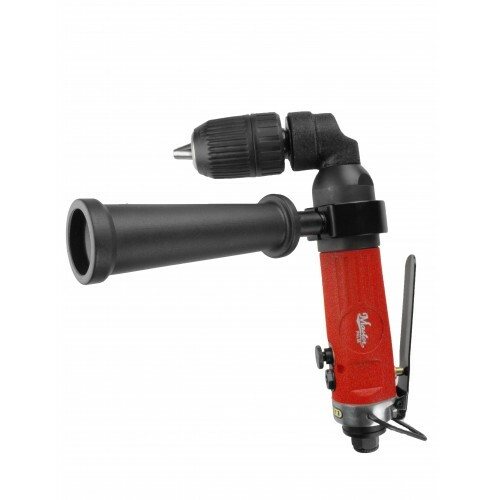 Featured ..
Master Palm 1/4" and 1/8" industrial long neck 5" extensive shaft straight die grinder, 30000 rpm extends die grinder to hard to reach area. Free Sp..
Master Air Tool ships to worldwide locations including EU countries and other international destinations. 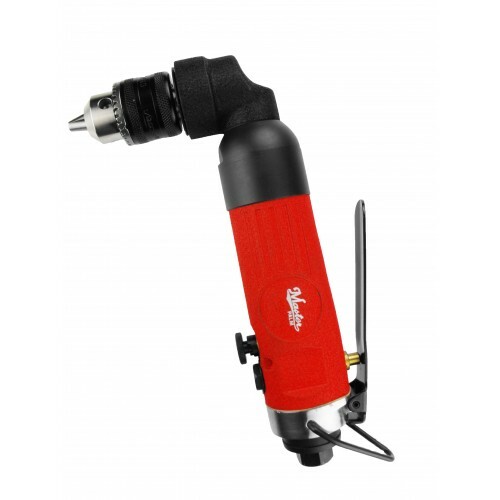 Master Air Tool Ltd uses shipping carrier mainly through Fedex and USPS, however, we also use UPS, Fedex, and DHL or other contracted shipping companies from time to time. The online system will generate the best shipping rate. If you choose free shipping option, we will choose different shipping carrier we work with to ship to you. All orders are shipped within 14 working days from receipt of your order. We cannot guarantee when an order will arrive. Consider any shipping or transit time offered to you as an estimate. We encourage you to order in a timely fashion to avoid delays caused by shipping or product availability. Most tools are made once the order is received excluding some items are pre-build. There is a production lead time of 10-12 business days before shipping out. The shipping time frame takes 3 business days to east and west coat, 2 business days to central states. For international locations outside of the USA, the shipping time frames range from 3 - 5 business days. Please be advised that business days means that it does not include weekend ( Saturday and Sunday). In most cases we are able to ship your items much sooner. Experience has taught us it is best to under-promise and over-deliver the majority of the time while allowing some leeway for those situations where delays do occur. For pre-build items, it takes 1-2 business day for packaging preparation and 2-4 business days to arrive your destination within USA, and 2-5 business days to arrive international destinations. Master Air Tool Ltd Co offers domestic free ground shipping with real time rate on other shippers. For International shipping, we offer international flat rate shipping via DHL or available shippers in your country. The shipping chart below list how we charge shipping charges. May I use my own shipper account? Currently, for personal,government and veteran account, we do not honor third party account for shipment. If you open a business, general reseller and stock distributor account with us, you may use your own shipment account. All shipment are dispatched from Hot Springs, AR. unless otherwise specify in the invoice. If you are residing or the shipping destination is outside of United States, and Taiwan, you are liable to pay for import tax. In most cases, our shipping carrier will bill you the amount of import tax they pay to the custom. To honor international community, we have discounted international flat rate shipping available from Min. USD$35 up to Max. USD$200. If you order 100 pcs of tools, your international shipping charge will only be Max. USD$200 or lower. Please checkout the order as usual. And the shopping cart will display the discounted shipping rate charge for you. We can prepare shipping label with your company's name and put your own invoice or packing list in the package as long as you prepare the required document and advise us what to do with the package. All you have to do is leave us comment to request drop shipping to your customer directly and specify your customer's shipping address during checkout process. 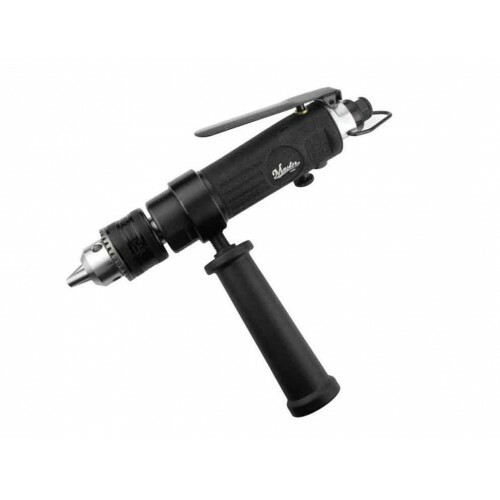 Master Palm pneumatic tools online store ship worldwide. Master Air Tool Ltd uses shipping carrier mainly through USPS, however, we also use UPS, Fedex, and DHL or other contracted shipping companies from time to time.The online system will generate the best shipping rate and we will choose different shipping carrier we work with to ship to you. Stay up to date with news and promotions by signing up for our newsletter. Get a life long coupon code that will change discount rate from time time.